Here at Big Island Candies, we only use the highest grade of ingredients. 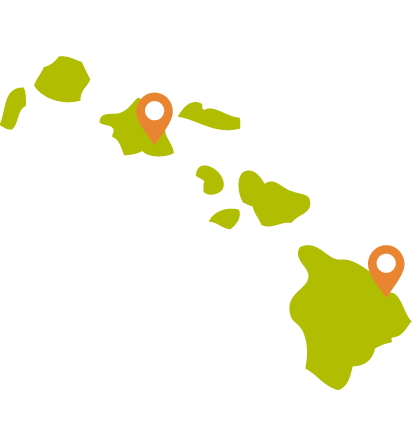 We proudly feature only freshly roasted Big Island macadamia nuts and 100 percent pure Kona and Ka‘u coffee from farms here on Hawaii Island. There is no substitute for quality, and no shortcuts are ever taken here. We take great care to ensure that our products reach our customers in the best condition possible. See below to learn more about our shipping process. Mon. – Sat. 9:30 a.m. – 9:00 p.m.
Sun. 10:00 a.m. – 7:00 p.m.
Mon. – Sun. 8:30 a.m. – 5:00 p.m.